The lead pastor of Willow Creek Community Church resigned Wednesday and apologized for mishandling misconduct allegations against the church’s founder Rev. Bill Hybels. Sandra Torres reports. The lead pastor of Willow Creek Community Church resigned Wednesday and apologized for mishandling misconduct allegations against the church’s founder Rev. Bill Hybels. Heather Larson and other church members announced their resignation to churchgoers in South Barrington. Over the weekend, new accusations came to light about the mega church’s former pastor. Hybels stepped down earlier this year, half a year before his planned retirement from Willow Creek Community Church amid accusations of misconduct. Claims surfaced against Hybels that he engaged in inappropriate conduct with women in his congregation over decades. He was cleared in church inquiries, the Chicago Tribune reported at the time. The lead pastor of Willow Creek Community Church resigned Wednesday and apologized for mishandling misconduct allegations against the church’s founder Rev. Bill Hybels. Regina Waldroup reported. According to a different Tribune report from April, Hybels held back tears as he apologized to churchgoers even though he said he’d been cleared of all accusations. "I apologize to you, my church, for a response that was defensive instead of one that invited conversation and learning,” he said, according to the Tribune. Several women accused a pastor at a suburban church of misconduct, and elders are now apologizing for not believing the victims. He had planned to step down in October of 2018 since May of 2012, the newspaper reported. Willow Creek Community Church is located in South Barrington. Rev. 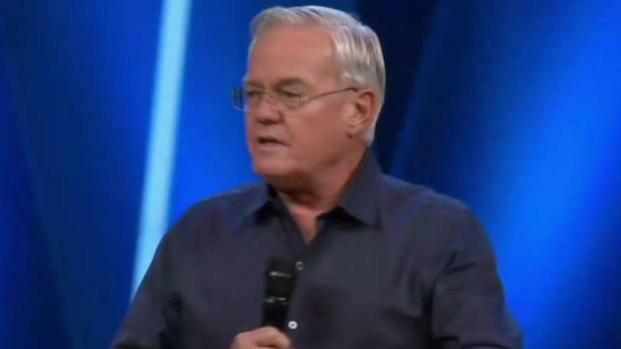 Bill Hybels stepped down Tuesday night six months before his planned retirement from Willow Creek Community Church. NBC 5's Sandra Torres reports.